Teton Pass is a ski area seldom seen by people from outside of Montana. And that is not at all surprising considering the areas very out of the way location along the Rocky Mountain Front. The nearest town to Teton Pass is Choteau, which is hardly known as a destination ski town since it lies out in the middle of the prairie, 15 miles east of the rugged but beautiful Rocky Mountain Front. Yet, Teton Pass is one of the more enjoyable ski areas in Montana, at least when the weather is nice. Teton Pass has a great mix of terrain and is affordable. The views are fantastic and the drive to the mountain from Choteau is gorgeous on a sunny day. And as far as crowds go, forget it, there aren’t any. 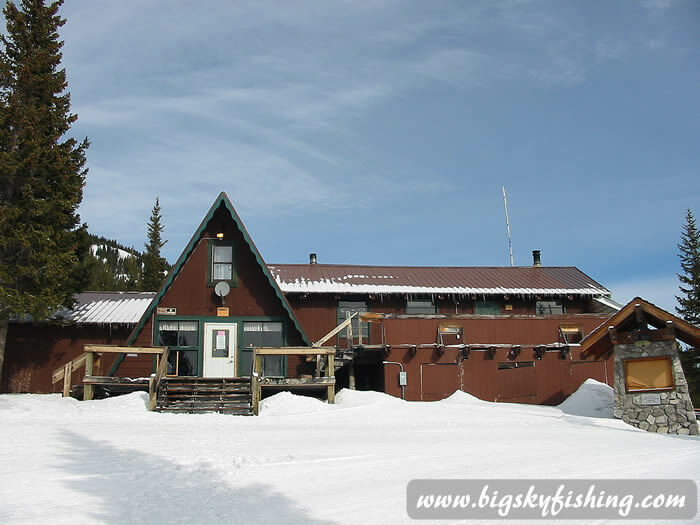 Like most ski areas in Montana, Teton Pass is a ski area – not a fancy resort. At Teton Pass, you won’t find condos, apartments, gourmet dining or any of the other amenities found at better known ski resorts. Quick Links to article contents. Teton Pass is not a big ski area but what it lacks in size it more than makes up for in variety. Teton pass only has 26 named trails spread over 400 acres on 1000 vertical feet. Yet, for such a relatively small ski area, Teton Pass has a huge variety of terrain. The ski area is built upon the flanks of Mt. Lockhart, which has a summit elevation of 8488 feet. The lift served terrain of Teton Pass does not go to the summit of the Mt. Lockhart and for good reason, high winds and to some extent lack of snow. As Teton Pass lies on the east side of the continental divide, it can be pretty windy at the ski area at times—especially on the higher peaks. What happens at Teton Pass is that high winds frequently roar over the higher peaks, taking the snow with it. As such, it is not an uncommon to have a pile of snow down in the bowls beneath the summit while the exposed flanks (especially southern exposed flanks) of Mt. Lockhart are nearly bare. That all said, for the adventurous skier, it is possible to trek up to the summit and ski down. While the whole summit area may not be full of snow, enough snow piles up in some locations on the sides of the mountain to allow for some very interesting out of bounds skiing possibilities. Teton Pass only has one main lift, a fairly fast moving standard double chair. Well, I shouldn’t say that. It actually has three lifts, but one of the lifts is a very old platter which may only run during peak times, if that. The ski area also has a beginner’s carpet conveyor lift which, at least on the day I was there, wasn’t running either. The main double chair serves double duty as it has a mid-station. Beginner skiers will want to take the chair and get off at the mid-station, since there are no true beginner runs from the top of the chair. Intermediate and expert skiers will want to stay on the chairlift to the top. For beginners, Teton Pass has many decently groomed, gentle slopes in a nice mix of terrain. The beginner runs are generally wide and have a gentle slope. New skiers won’t have to worry about speed control. Intermediate skiers will also enjoy Teton Pass. While technically only three intermediate runs make their way from the top of the mountain to the bottom, this is a bit misleading. These trails tend to be fairly wide open, at least on the upper half of the mountain. As such, skiers aren’t confined to the run, allowing for some nice open terrain and glade skiing when conditions allow. As these trails are not horribly steep, any good intermediate skier should be able to navigate their way off-trail without problems. Experts will find some challenging terrain at Teton Pass, although none of it is death defying. All of the expert terrain begins at the top of the chairlift. To access the expert terrain, skiers can go one of two ways once at the top. The best terrain in my opinion is found by going to the left from the chairlift, following the South Star Trail. This trail will take you to an open area (which also has been partially burned years ago). From there, experts can drop down on either the Cherokee Trail or the Firewater Trail, both of which offer excellent open terrain skiing. Both of these trails are fairly steep on their upper half and then flatten out to a more intermediate grade further down the mountain. Regardless, these two trails provide some very nice skiing in open terrain (which means you just cut your own tracks and aren’t confined to a rigid trail). Just beware of rocks during low snow periods as these trails have a southern exposure and can be bare in spots. Other good expert terrain of a totally different nature is found by going to the right from the chairlift, on the North Gully Escape trail. Below this trail are a number of expert runs that provide for an interesting trip to the bottom—skiing through a gully. The trails twist and turn and are very narrow. These gullies also fill up with snow at times, allowing for some unique, and deep, powder skiing conditions. Here’s one thing to keep in mind about these gullies, though. Like gullies everywhere, when it has been a while between snowstorms and the gullies have been packed down, skiing down them is akin to skiing on a bobsled run. The gullies are narrow and have a U shape to them, with fairly steep sides. As such, even though these trails are not horrifyingly steep, they can provide some challenging terrain—especially on skis. Also note, the up and down skiing on packed snow can play havoc with both technique and equipment (I broke a pair of skis and my boots on the same run while skiing an out of bounds gully trail off the summit of Mt. Mansfield in Vermont years ago). But, while not easy, this gully skiing is lots of fun and is definitely worth a try. Intermediate skiers will also like these gullies, too, especially the one found on the lower mountain—the Many Falls Ski Trail. 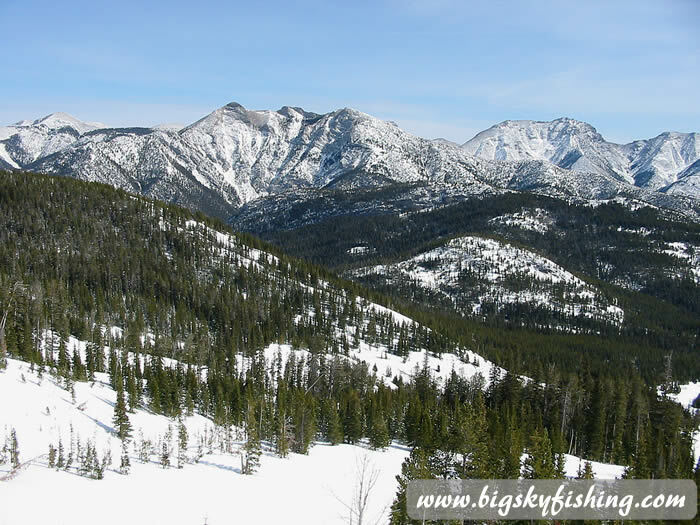 Overall, Teton Pass is a wonderful ski area tucked away in a quiet and beautiful corner of Montana. 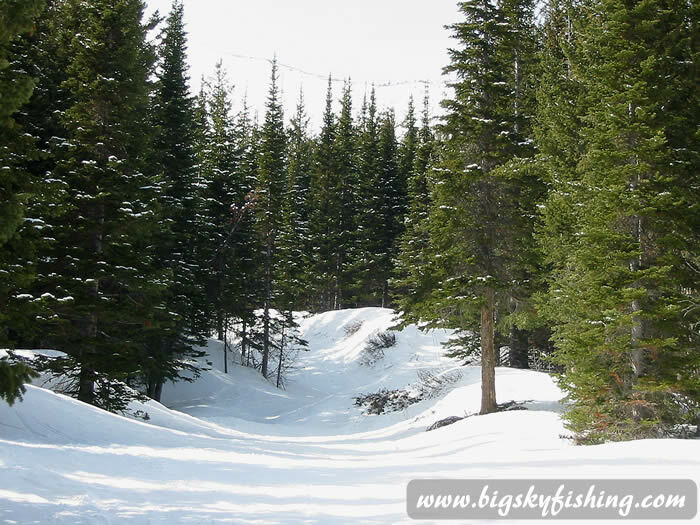 The ski area has a nice mix of trails, a beautiful location and the drive up to it is both relatively simple (at least during good weather) and very scenic. Teton Pass is also affordable, allowing large families to enjoy a day of good downhill skiing that won’t destroy the bank account. Terrain : 25% Beginner, 35% intermediate, 40% expert.